The fat from acorn-raised Iberian pigs contains more than 54% of oleic acid. Only olive oil has a higher content in oleic acid, which is the most beneficial oil to fight against cardiovascular disease. 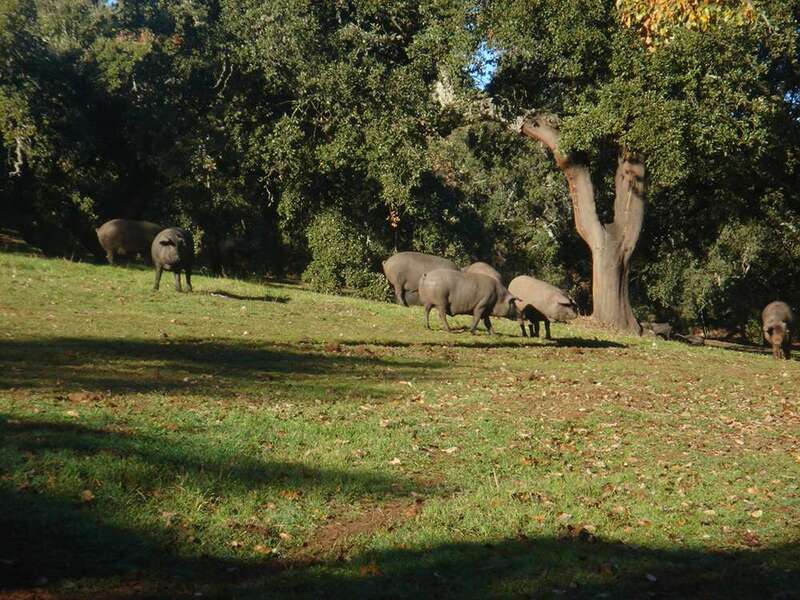 Iberian pigs raised in acorn fields have different characteristics from pigs raised elsewhere. Namely, they do more exercise and their main food source is acorns and a variety of herbs they eat in the fields, which accounts for their high oleic acid content -over 54%-. This meat has a low calorie content, which means that it is a useful addition to a slimming diet, as 100g contain a mere 185 calories. Iberian ham is also proven to protect our cardiovascular and circulatory systems, reducing detrimental LDL colesterol levels and raising benificial HDL levels. The term ‘pata negra‘ (?Black leg?) refers to the colour of the pig’s trotter but, in reality, it is not true that all Iberian pigs have black trotters. Neiher would it be accurate to say that this trait is unique to Iberian pigs. The whitish spots that appear on this product are not defects. They are the result of the affect of an amino acid called ?thyroxine?, which appears as a result of the degradation of protein. They indicate optimum curing and maturity and are in no way harmful. The term ?Serrano ham? doesn’t refer to a specific breed or type of ham. This name only indicates the type of cut (a ?V? shape cut) used by the slaughterers to remove the ham from the pig’s body. Therefore, a ?serrano ham? can also come from a non-Iberian pig. 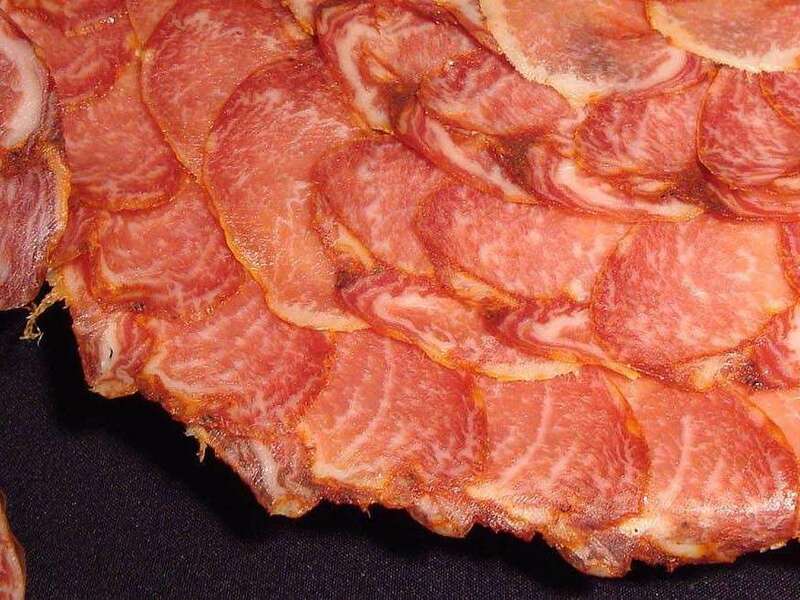 ?Jabugo ham? is not a special breed of ibeian ham. 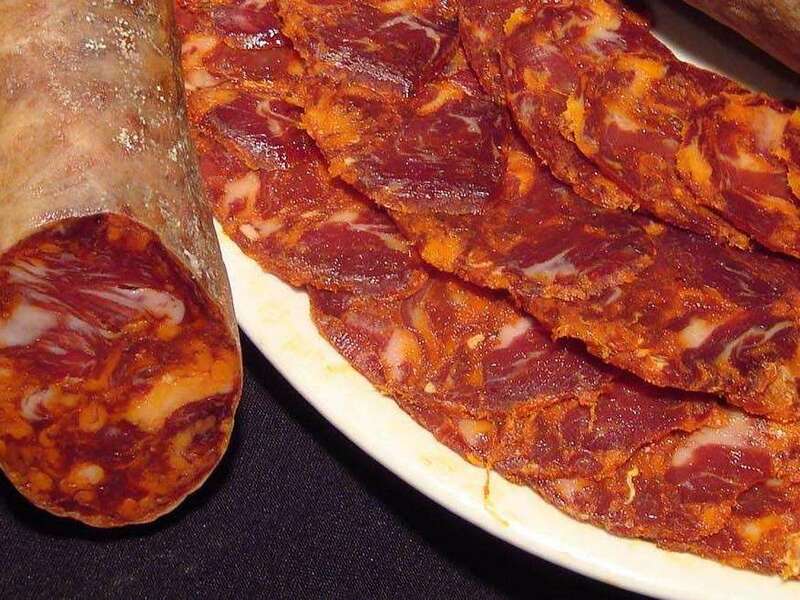 It is produced in the town of the same name in the Southern region of Huelva. It is a common misconception that the best ham comes fom the leg that the pig rests its weight upon. When a pig rests it shifts its weight arbitrarily from one side to another. 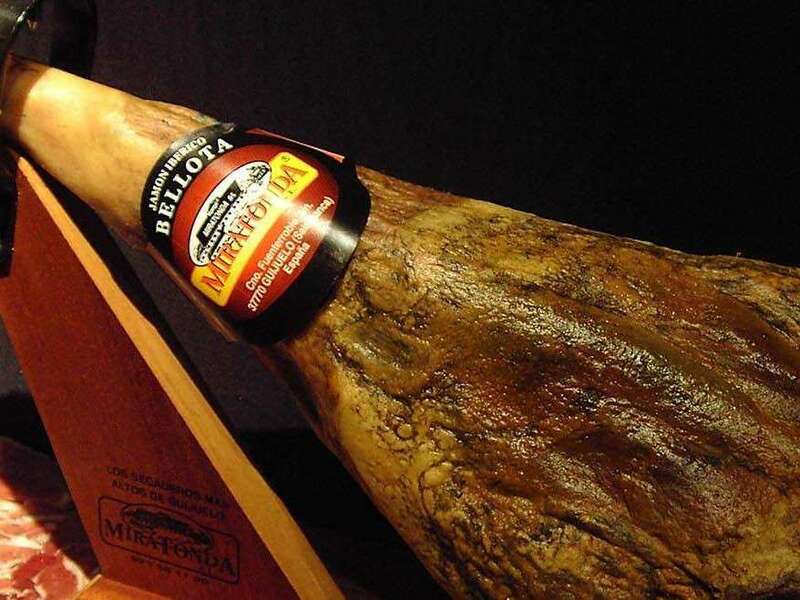 Iberian ham is a rich source of vitamins (B1, B6, B12, E and folic acid). It is highly beneficial to the nervous system and to brain activity. It is also rich in minerals which are essential for bones and cartilage. During the time the pigs spend roaming the countryside they are capable of gaining over 1kg in body weight a day. This is mainly due to the fact that they are capable of consuming as many as 10kg of acorns on any given day. In order to find so many acorns the pigs are continuously exercising, which increases the quality of their meat making it succulent and tender, thereby giving it its fame. Besides the acorns, Iberian pigs also consume various aromatic plants which lend the hams an indisputable and enticing aroma. A ham kept in the home should be preserved at room-temperature in a dry and well-ventilated place. Once opened, the part of the ham that has been cut into should be covered with some of the off-cuts of outer fat to avoid its drying out or losing aroma and flavour. Hams should not taste salty. They should have enough salt to give them flavour but should not be overly salted. Neither should they be hard (although some parts will always be tougher than others) but properly cured. An Iberian ham should always appear less dry than a ?Serrano ham?, with a shinier finish due to its more fluid fat content. Iberian pigs do not only eat acorns. At birth they are fed on their mother’s milk and then move on to other kinds of feed (natural fodder, herbs, etc) to help strengthen their bone structure. When they reach a weight of around 80kg, they are released into the open countryside, where they feed on acorns, herbs and plants until they complete their development. From the pig’s birth through to the end of the curing process, a period of 5 or 6 years pass. In general, pigs are slaughtered at an age of around 18 months. 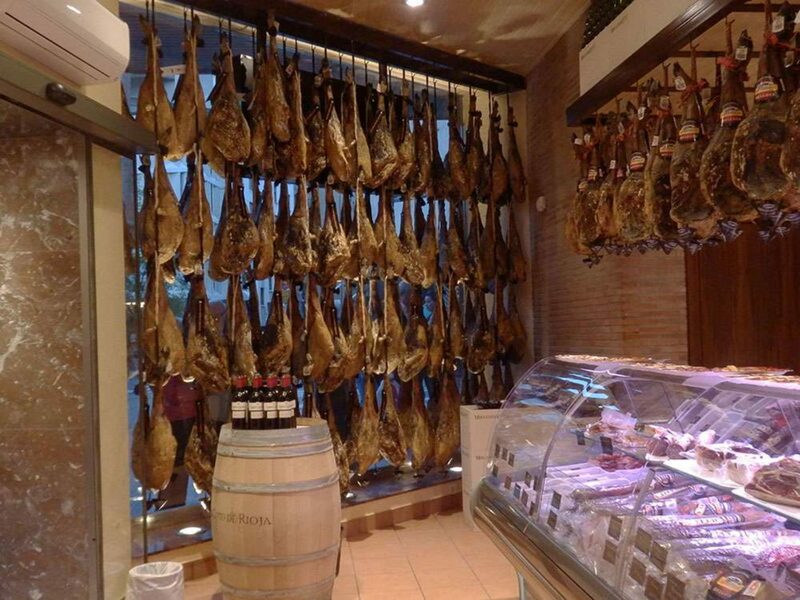 It takes a further 48 months until the curing process is completed and the ham is ready to be eaten. 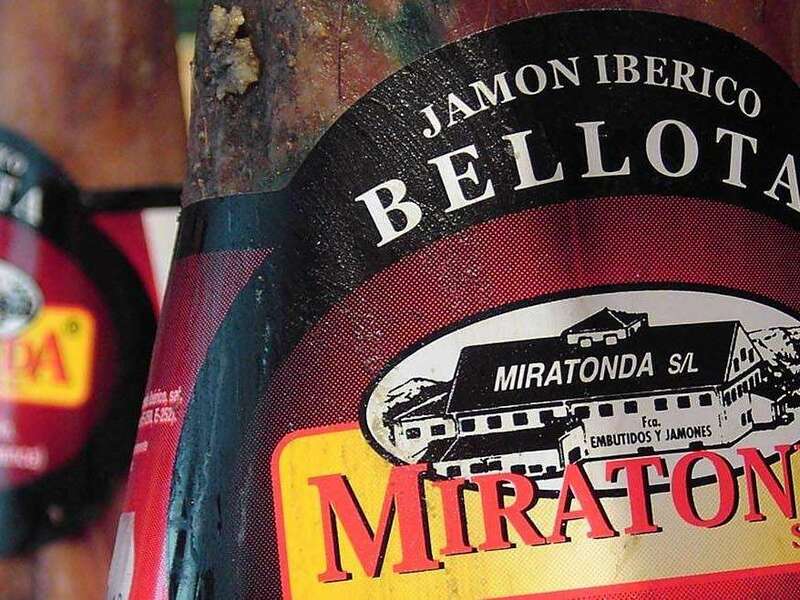 It is difficult for consumers to recognise an Iberian ham from sight alone. There have been many examples of underhand sales techniques in this sector, so we therefore strongly recommend that customers always check the product’s authenticity by asking about its certificación de calidad (quality-control certificate) issued by a recognised quality control company.